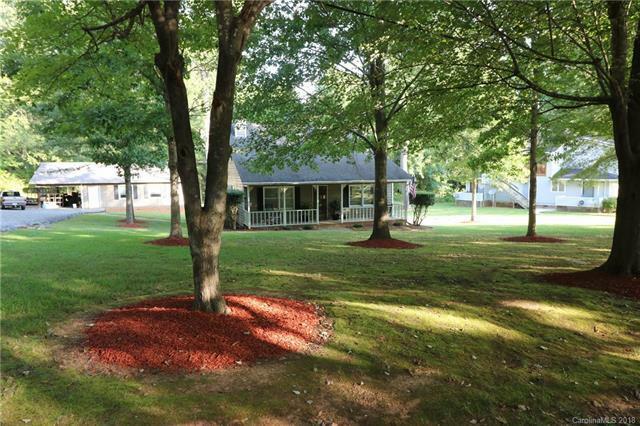 This beautiful 3 bed 2 1/2 bath home has a large well manicured lot with a front porch that runs the full length of the house and a large screened in back porch. A detached 24x30 2 car garage/workshop that is wired for 220 also has an attached carport and is ready for any projects you can dream of. The wood burning fireplace with a blower in the vaulted Great Room will make the cool nights of fall and winter even more enjoyable. There is plenty of room to spread out in this 1508 sqft home. Master with ensuite is located on main floor. There are 2 beds and a full bath on upper floor. Carpet and vinyl was replaced in 2008 and well maintained. Copy and paste the link to view the virtual tour and floor plan. https://my.matterport.com/show/?m=sHkZiHVhjPm&brand=0 Make sure to click on 360 views of front yard and back yard. Press play to view virtual tour or click on the dollhouse version to see the full layout of 1st, 2nd or all floors at once. You can also click to navigate yourself. Sold by Celia Estrada, Realtors.